Working with Formulas and Functions. g. Use AutoFill to fill in a formula and complete a series. b.Absolute reference- there are times when you do not want the formula copied or part of it copied to change releative to the celll copied to. This is done by placing the $ in front of the column and or row reference. For example =sum($b$1:$b$10) would keep the formula absolute and it would not change when copied. c. Mixed reference - is one in which part of the formula is absolute and part relative. for example =$b2 would keep the column absolute but the row would change. d. Function key 4 is the absolute key. Use the f4 key to cycle through the references. 2. Working with functions- every function has syntax rules, which specifies how the fucntion should be written. a. Function(argument 1, argument 2, argument...) where functions is the name of the funciton and arguments are the numbers, text, or cell references used by the function to return a value. Not all functions have arguments and some functions have optional arguments when not used that revert to the default. Text Return text values or evaluate text. a.. Date and Time Functions: Remember all functions begin with =. Date(year, month, day) Creates a date value for the date represented by the year, month, and day arguments. b. functions are widely used in the world of business. PMT(rate,nper,pv,[fv=0],[type=0]) rate is interest rate per payment period- nper is total number of payments - pv is the present value of the loan and must be entered as a negative number -fv indicates the future value of the loan with default of 0 - type specifies when payment is made. PV(rate,nper,pmt,[fv=0],[type=0]) Calculates the present value of a loan or investment based on periodic, constant payments. RATE9nper,pmt,pv,[fv=0],[type=0]) Calculates the interest rate of a loan or investment based on periodic, constant payments. Average(agruments) Calcualtes the average of a collection of numbers. Count(arguments) Counts how many cells in a range contains numbers. CountA(agruments) Counts how many cells are not empty in ranges. Int(number) Displays the integer protion of a number. Max(arguments) Calculates the maximum value of a collection of numbers. Median(agruments) calculates themedian, or middle value of a set ofnumbers. Min(agruments) Calculates the minimum value of a set of numbers. Round(number, num_digits) Rounds annumber to specified number of idgits. Sum(arg) Adds a collection of numbers. c. Logical function test or evaluates whether a condition in the workbook is true or false. d. The if function =if(logical_test, value_if_ true, value_if_false) is a selection control structure in programming. e. Functions can be nested inside of each other. A common error in nesting is not including all of the parentheses. Click in worksheet and select the range of cells you want. 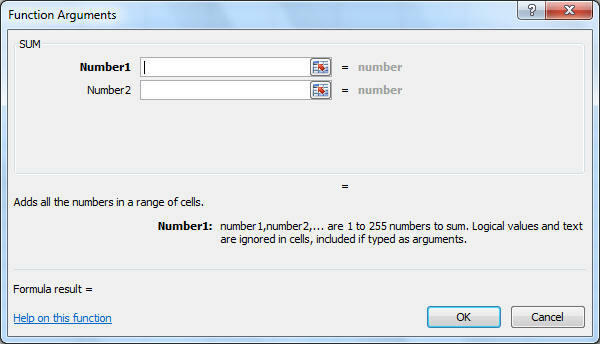 You can have up to 255 ranges of cells in the function. You can also type the functions directly into the cells that you want. 3.. Fill handle-Auto Fill - the small black in the lower-right corner of a selected cell or range is called the fill handle which enables you to copy the contents of selected cells simply by dragging the fill handle.
. Auto Fill options button - Copy Cells, Fill Formatting Only, Fill without Formatting. Loans - Principal is the amount of money being loaned, interest is the amount charge for lending the monty. Simple interest is the interest paid is equal to a percentage of principal for each period that the money has been lent. Compound interest in which the interest paid is calculated on the principal and any previous interest payments that have been added to the principal.